Despite plans and motions to ban religious services outside of places of worship, priests continue to give spiritual counsel amidst the increasingly violence protests in the Ukraine. Often priests put themselves in between the riot police and protestors, in order to stand against violence and promote a peaceful resolution. 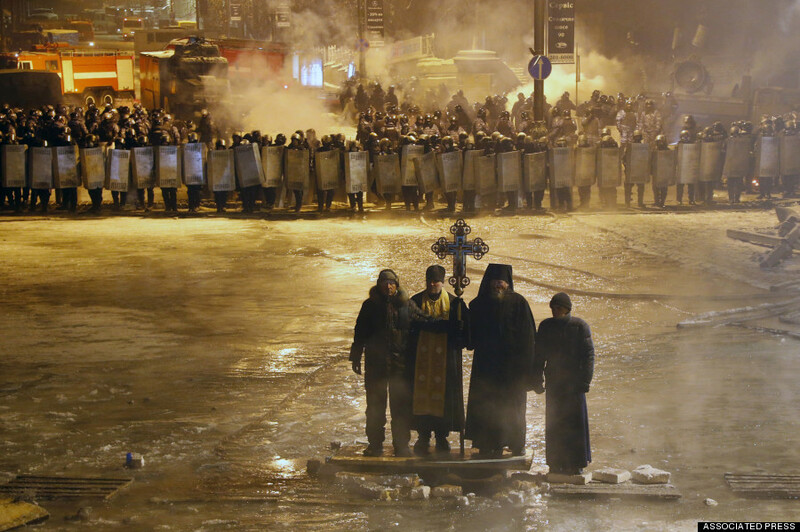 An Orthodox priest in full garb is a start contrast to the ash and grime of the two sides. Some of the greatest modern protests and struggles have had clergy in their midst- in many cases they have been led by religious leaders.